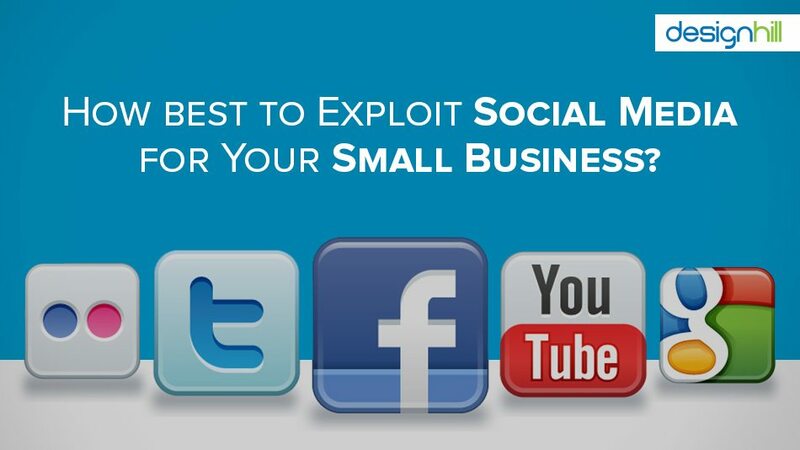 How Best to Exploit Social Media for Your Small Business? Most business owners explore social media to effectively convey their brand message to their target audiences. But given the fierce competition on the social media landscape, businesses and content marketers are forced to become more creative than ever before in their content endeavors. If you’re a creative thinker, then graphic designing is an easy business to start and social media will additionally ensure a consistent flow of customers. But sadly except for a handful of small businesses, most aren’t able to successfully explore social media and drive traffic to their websites. This article discusses some easy ways to use social media in such way that it helps you bring more customers to your website. But before you consider the following tips, make sure to invest in an effective and professional website design to make browsing experience all the more pleasurable for your visitors. Find Your Target Audience – People use different social media platforms as per their interests. For example, professionals generally use LinkedIn. Businesses in fashion industry like to use Instagram and Pinterest to reach to consumers. Twitter and Facebook are common social channels that most of the businesses explore. So, it is essential to first analyze your target audience and where they are likely to hang out. Then, target particular social channels, which your target audiences use the most. To find out such channels, conduct a thorough research to know your target customers’ profile such as economic backgrounds, age, demographics etc. Post Content Frequently – Social media users have a very short attention span as they are overloaded with information all the time. Marketingdonut suggests that it’s well worth spending time analyzing who you need to connect with and engage on social media. Your potential customers must consistently get your content, your images and infographics to understand different aspects of your business. However, note that you can convert your social media fans into customers only you offer your useful and updated information on your social media channels. Resolve Customers’ Complaints – Customers have faith in small businesses that attend to complaints immediately. Timely solution of issues such as delayed delivery of products, defective items or confusion related to services is a must to win back the confidence of your consumers. Write back to them in a friendly tone and explain the cause of problems, offer apology and provide a quick solution. Promote Your Business– Self-promotion is essential to survive in the highly competitive market. Your ecommerce store should stride hard and compete to grab customers’ attention. For this to happen, entice your consumers with attractive offers such as discount deals and promotions. Advertise your coupons on your social media pages. Do well to ensure the ‘’sell’’ features on your social media accounts. Ensure Call-To-Action – Use a call to action that provides a beneficial reason to share your social media posts. Remember, including an effective call to action that seamlessly blends nice tone, superb content and good strategy spells the difference between a hit and flop social media post. These measures should help your small business build a solid customer base in a very short time. Is there something important that we missed out, please let us know in the comments section below. Looking for Customized, On time, Website Design? Launch a Website Design Contest today. Choose from 100+ designs. Take your pick!